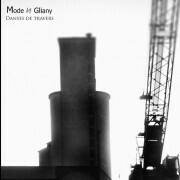 Here’s the latest EP from Mode in Gliany, a solo synthwave project from Brittany, France. Made with synths, drum machines, guitar and bass. The “Mode in Gliany” (wordplay with the Italian painter Amedeo Modigliani) started in 2013 after discovering the work of “November Növelet” the web, “a big blow” as we say. Attracted by the cold colors of their synthesizers and its underground voice, was produced a “slow and painful” style of music.